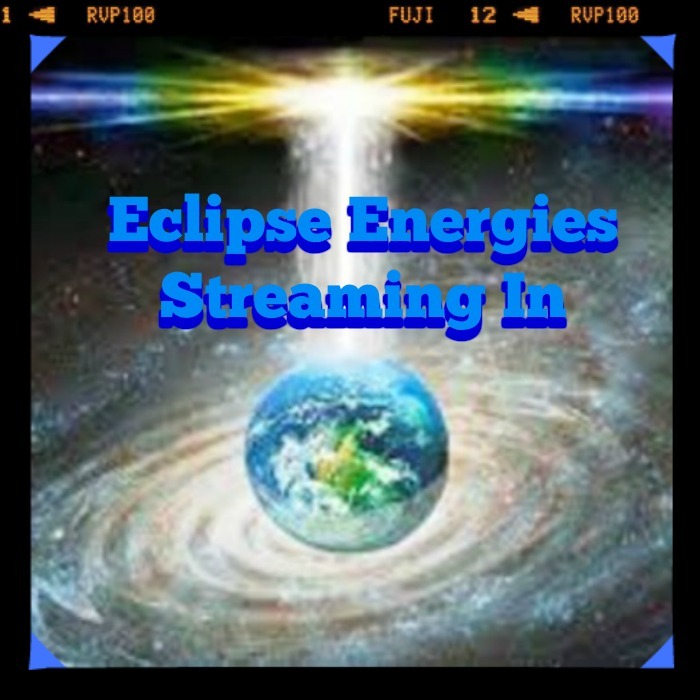 The past few days the energy has been intense with the Eclipse energies streaming in before the Eclipse gets here. This is actually very common for the Eclipses, Full Moons and Equinox and Solstices energy. The energy can come in up to ten days before and after the event. We also experienced a strong geomagnetic storm last night brought on by streaming solar winds. This storm though seemingly came out of nowhere and developed quickly to gain high intensity. During these times of high energy, we are much more connected to the Universe. You may see more and get more messages while in meditation. You may feel a strong pull to get into nature and merge to become one with all that is. One of the key aspects to what has been taking place with this NEW eclipse energy coming in is we are being called to be our authentic selves. This may include major life changes. What made us happy before may not be enough anymore. We may be feeling the need to branch out and fly free. We don’t want to be encumbered by anyone else’s rules anymore. What served us in the past is not serving us now. Now is the time to spread our wings and fly. Do not be afraid to make changes now, it is time to be who you really are. The calling is strong and will not be stopped. The more in tune with who we are the more the light body process can flow smoothly in the ascension process. We may be more sociable now if that is our true nature. We may feel the intense pull to be with others that are like minded and form groups to discuss what is happening energetically. Compassion is also a key factor. We can now look at others and have intense understanding of what they are going through. As empaths, we have always had this ability but now it is heightened. For those non empaths they may be surprised at the new feelings coming up regarding others. This will include our pets and any animals we may see or interact with. We may feel so much compassion for them, it may become overwhelming at times. Nature also holds a renewed strong interest. We will want to get out and explore the trees and wind to merge again with this Divine Creator Energy. We may feel intensely connected to Gaia and feel her energy and hear her speak to us. We may hear the trees and wind speak. Do not worry, this is all natural, psychically. With this eclipse comes empowerment. Empowerment to change our lives, change society and change reality to what we desire. Use this energy through the eclipse to manifest and fortify the positive changes you want to make in your life. The Universe works with us the more connected we are to her to make these changes and take action for ourselves. There is a grassroots societal change taking place now. It has just started. This will grow and expand in the coming months and through this year. The population is now starting to finally see through the illusions that have been built up around them for so many years. Many are now prepared to take action and make the changes needed that will benefit all of Human kind and all the kingdoms on earth human, plant and animal. The galactics support all action taken on behalf of oneselves and to the betterment of others and our beautiful planet. They too are looking out for earth and its welfare. They too do not want to see destruction on the planet. When we merge with caring for our planet we also merge with our Cosmic family. They watch and know what goes on in our reality. They have stopped much destruction already and have a close eye on what is taking place. Copyright © 2016 by Diane Canfield. All Rights Reserved. You may copy and redistribute this material as long the full article is included.